Indian Beauty Parlour near Vermont, Mitcham and Nunawading. Get 24 carat Gold Facial melbourne, Pearl or Herbal Facial. Getting an arch shape is as important as maintaining it. We recommend getting your threading done every 2-3 weeks to maintain the perfect shape of your eyebrows. How often should I get Facial done? Getting a routine facial every 4-6 weeks to ensure you skins gets steamed, cleaned & massaged to get a perfect refreshing look. Also there are times when skin changes due to hormonal conditions and needs a closer look at those times. Call us on 03 8812 247 or 0431128834 to book an appointment. 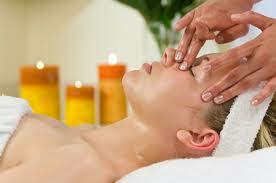 Get a Refreshing and revitalizing Facial. We aim to provide you with the refreshing facial experience and a lasting effect. Shahnaz Hussain 24K Gold Facial: This popular facial product from Shahnaz hussain does not need much introduction. it is a great product which helps reduce visible ageing signs and gets a perfect glowing skin for a youthful appearance. Gold Facial moisturising cream is enriched with date, rose distillate and honey suitated for most skin types. Shahnaz Husain Pearl Facial: Pearl Facial enriched with Minerals & Amino Acids gives soft, firm, youthful and radiant apperance. We have clients who look no further than this facial product. Shahnaz Husain Pearl Cream: The use of pearls as a natural whitener, rich in nutrients has been established as an ancient beauty aid. Pearls reduces the transfer of melanin to the skin, preventing taining, while fading away dark parches and spots. They also filter the ultra violet rays ensuring a natural even lightening of the skin. Enriched with minerals, amino acids and proteins, the pearl is potent with powerful age control nutrients that moisturize the skin and keep it flawless and youthful. Shahnaz Husain Pearl mask: This luxurious mask is the centrepiece of Pearl Collection. An ultra-satiny film of pure luxury, it is enriched with amino acids and minerals. This richly textured lavish treatment drenches your skin with moisture and nutrients delivering firming, revitalization and clearing discolouration. This mask has positive whitening qualities leaving the skin fairer and brighter. Skin feels smoother and looks more even and luminous. Powerful nourishing, whitening and energizing qualities makes the skin take on a new radiance. Relaxation: We give a relaxing start by adjusting the room temperature, lighting and starting a light music. Aaromatic soy candles gives a perfect room fragrance to start with. Skin Cleansing: We use facial cleanser to remove dirt or grim from your skin and also any makeup you had on your face before the start of facial to give a clean start. Facial Scrub (Exfoliate): Steam is used to open up the skin pores. We then apply facial scrub and concentrate (release congestion) around the areas of nose and forehead and also work on the facial areas which are greasy to start. - Box Hill and other melbourne south east suburbs. Our specialized and trained beautician offers irritation free threading service for clients in Melbourne. You can book an appointment online using our contact form. Shahnaz Hussain & other facial. Thanks Nilu! You are simply great. I am happy to get my beauty treatment done from you. It's very convenient and friendly atmosphere - Shibani. Hi Nilu! I am amazed how you do threading. It's absolutely pain free and easy. Great Service - Rinki. Hello Nilu. I still remember the first time I came to get my eyebrows and upper lips done. It was late evening and still you got it done. I am happy to get a friend & beautician like you - Anita.